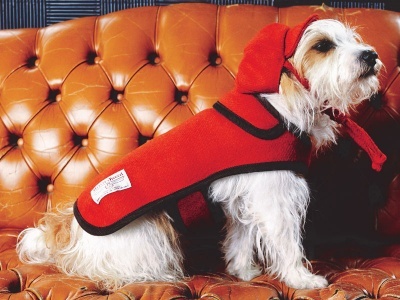 Inspired by the mod style of the 1960’s, LoveMyDog’s Edison Coat combines elegant, burnt orange Harris Tweed with contrasting brown corduroy trim. Luxuriously soft, the Edison Collection is exclusively designed by LoveMyDog’s Creative Director Lilly Shahravesh, with items hand cut and crafted in our East London studio for the most exquisite fit and quality. Image above taken from LoveMyDog’s SS15 LookBook. The Edison Orange Harris Tweed Dog Coat is hand cut and crafted in our East London studio for the most exquisite fit and quality. Team it with the matching Edison dog collar and lead to complete the look. Tote your petit pooch around in style in the Edison Dog Carrier. 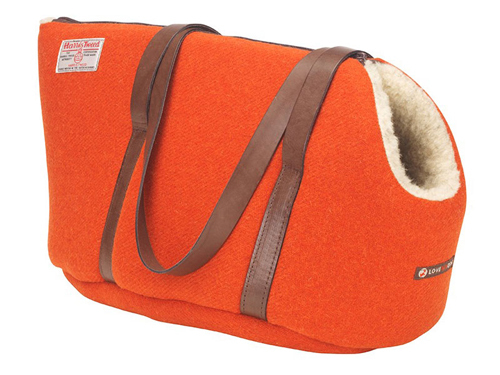 Effortlessly elegant, it combines a dark orange Harris Tweed outer, sumptuously soft fleece lining, and strong Italian leather straps. Perfect for travelling with small dogs and puppies, the soft yet structured shape of the carrier has been carefully designed to offer the ultimate in contemporary style and comfort. 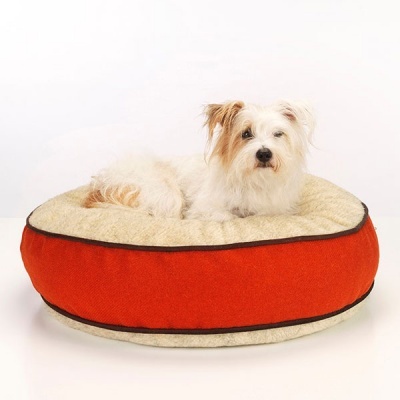 Indulge your four-legged friend with the luxurious Edison Dog Bed. 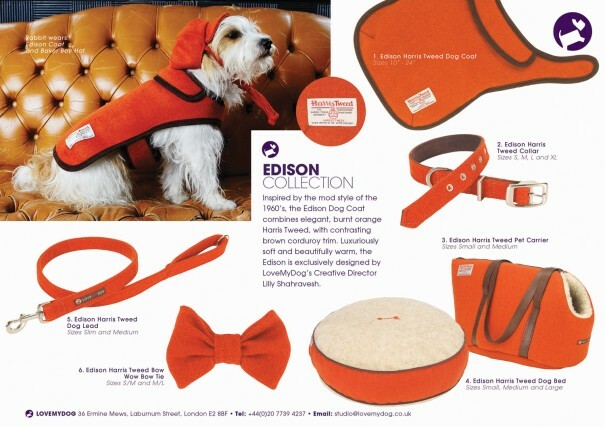 Like all our designer dog beds, the Edison is made to order for each pampered pooch. Contemporary, comfortable and durable, it combines a soft, yet hard wearing Sherpa fleece top with edging in our signature orange Edison Harris Tweed. Designed to our exclusive pattern, the bed is cut, pinned and finished by hand in London, and can be personalised with your dog’s name or initials for something extra special. Every dog deserves a beautiful, well-made collar that is a pleasure to wear. 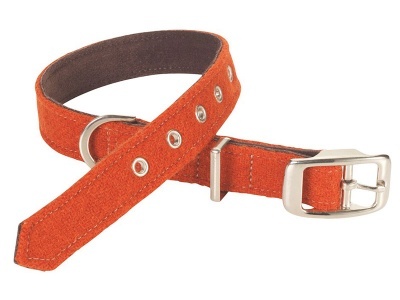 The Edison Dog Collar is made from sumptuously soft yet durable Harris Tweed, in a stylish shade of burnt orange. 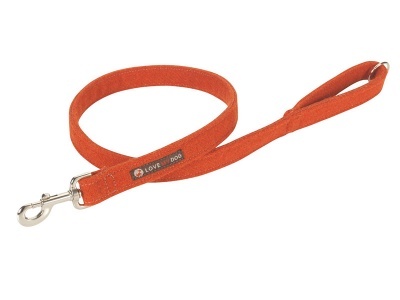 Walk the dog in style with the Edison Dog Lead. Handcrafted in the UK by classic British belt makers, the Edison is made from genuine Harris Tweed that is soft, yet extremely hard wearing.